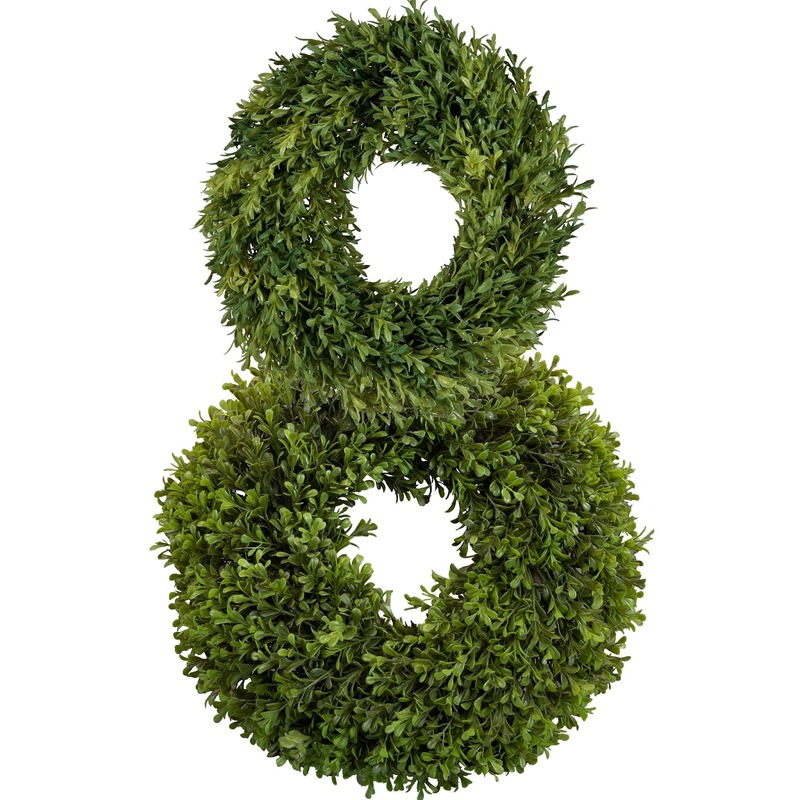 Next, using floral wire, we attached the small wreath to the large one. 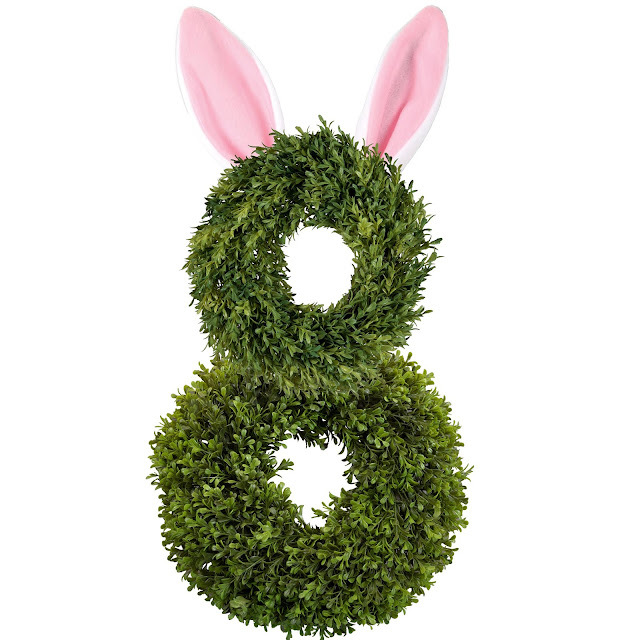 Remember those bunny ears we used in the Easter topiary? Well, we bought another pair just for this occasion! (This time of year, bunny ears are EVERYWHERE. We found this pair at the Dollar Store.) 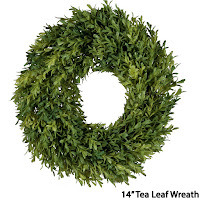 Using floral wire, we attached the headband to the back of the 14" tea leaf wreath. 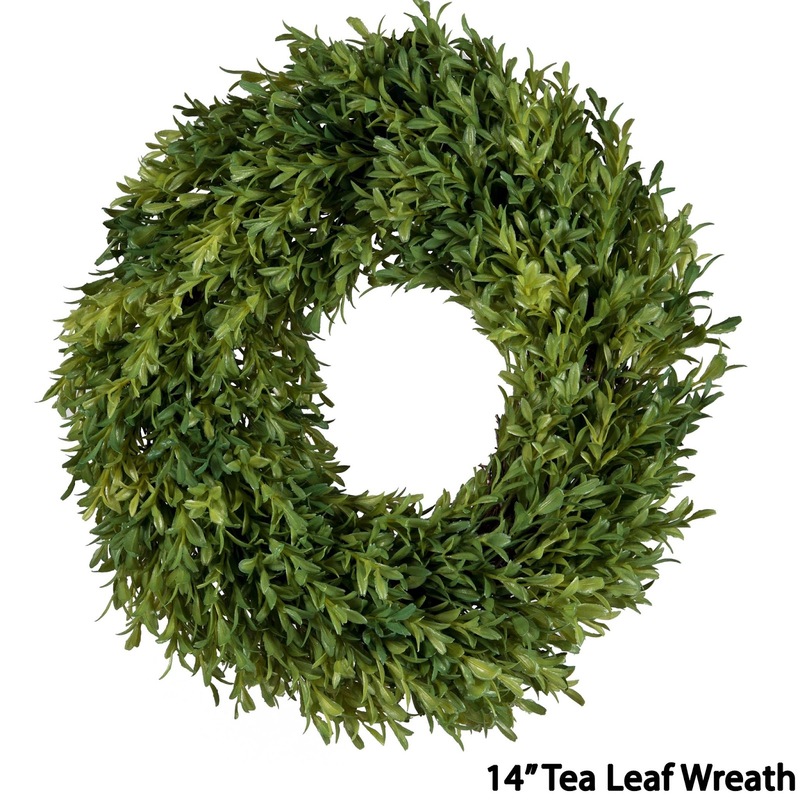 At the store, we found a white peony bush (always 40% off!) and cut off one of the flowers. 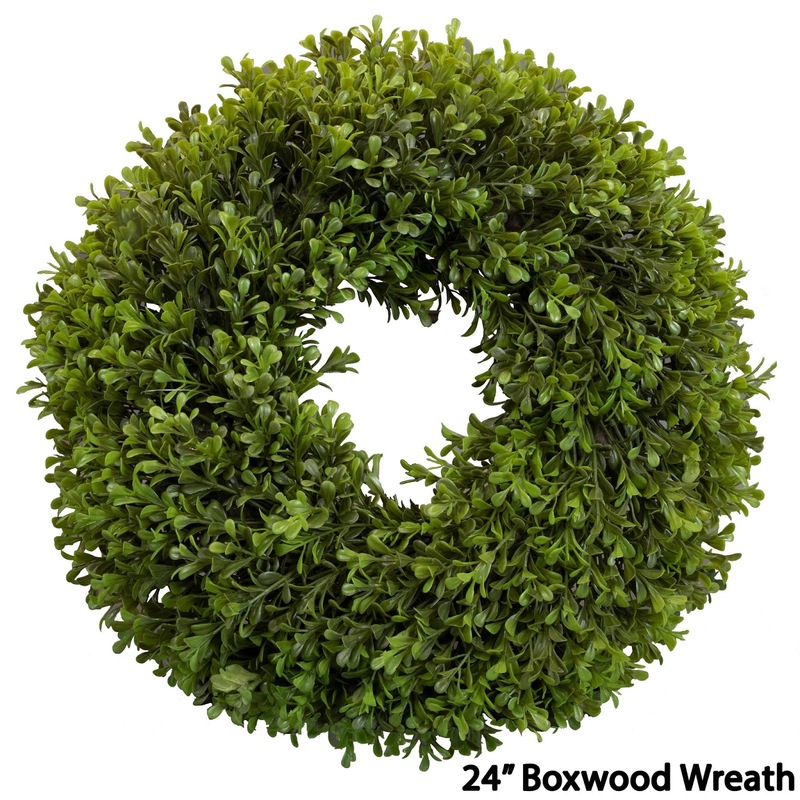 (You could use a rose or dogwood bloom - they're always 40% off, too.) 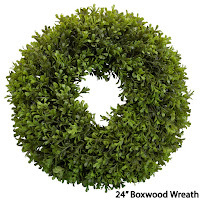 We attached it to the 24" boxwood wreath using floral wire. 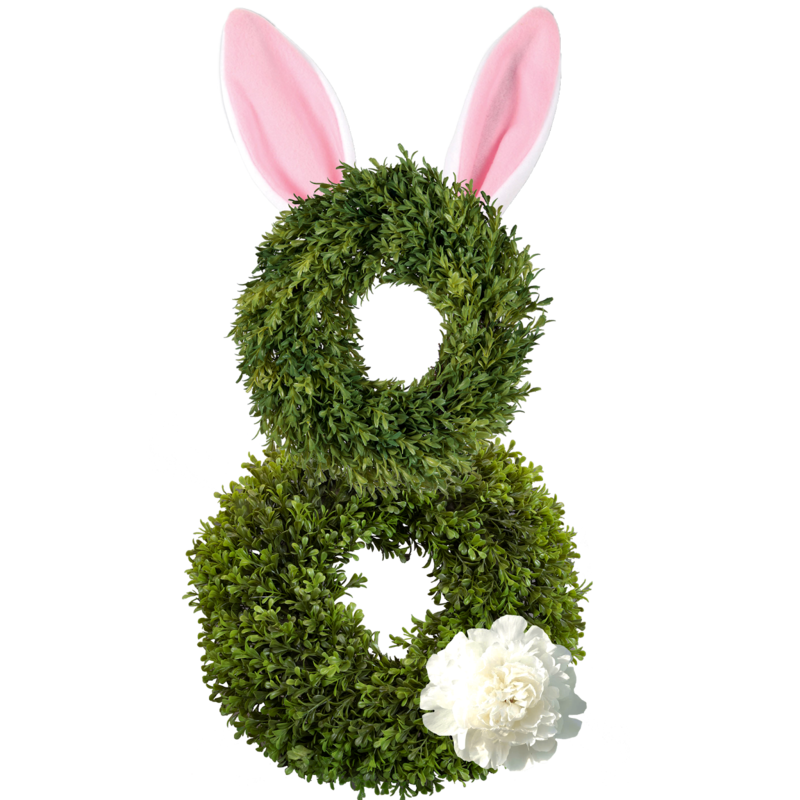 We're finish...and it looks like someBUNNY is all dressed up for Easter! 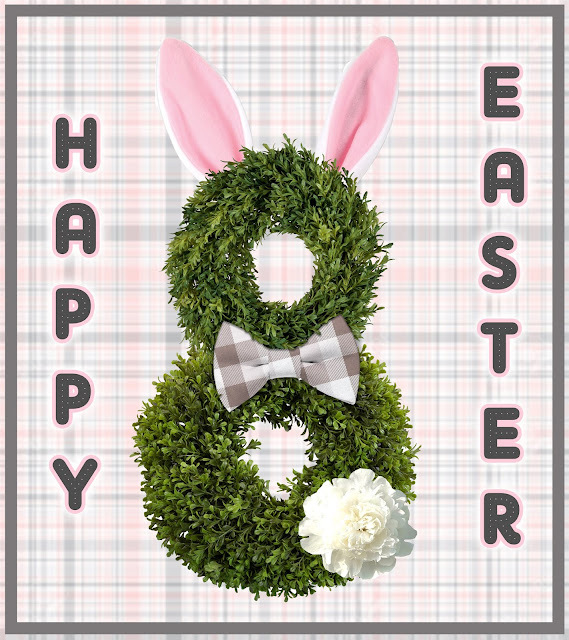 So, what do you think? 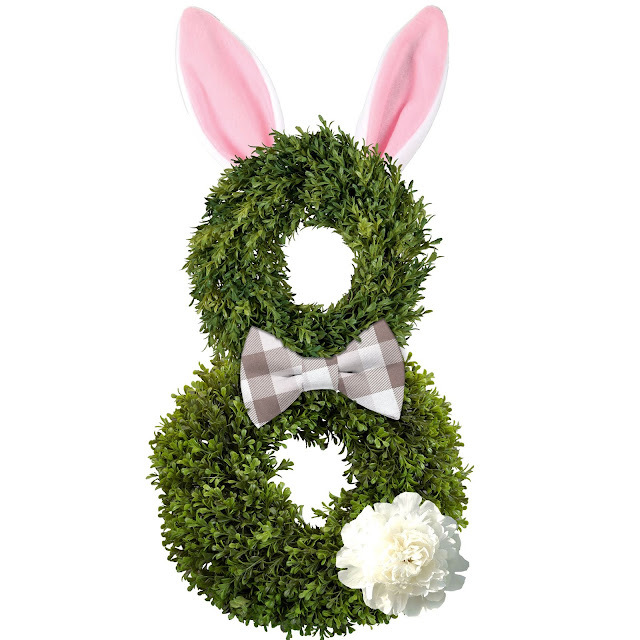 Which do you prefer...the Easter topiary or the Easter wreath? Would you use them both? How would you make it different?